Right intention is an important part of the Buddhist path, and one of the factors on the Noble Eightfold Path. Sometimes referred to as Wise Intention, Wise Resolve, or Wise Thought, this is traditionally the second factor on the path. I recently wrote a talk about the subject for our Thursday night group at the center, and thought I would write a post about the subject as well. This points toward the intricate way in which the different factors of the path are related to one another. We recognize when our thoughts and intentions are unwholesome, and work to abandon them. When we notice ourselves with unwholesome intentions (such as those for sensual pleasure, ill will, or harmfulness), we practice seeing it clearly (Right View), putting effort forth to abandon it (Right Effort), and recognizing that it is causing us suffering (Right Mindfulness). In the Ambalatthika-rahulovada Sutta the Buddha encourages his son, Rahula, to reflect on each action of the body, of speech, and of thought before acting, while acting, and after acting. 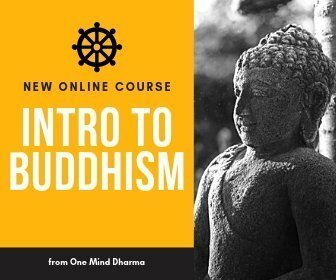 This sutta encourages us to connect with our intentions and actions, how they are inter-related, and how they can cause suffering or liberation. We can take the Buddha’s words on wise intention and incorporate them into our daily lives. We can start with the traditional teaching of wise intention as the intentions of renunciation, good will, and harmlessness. These three intentions build the foundation of this teaching. 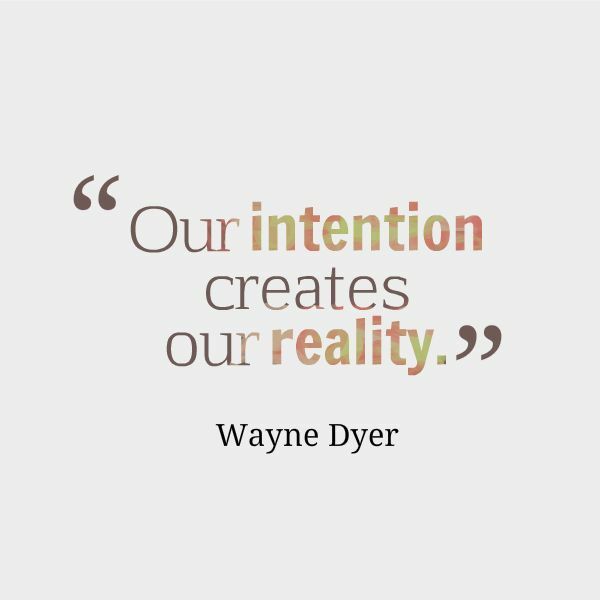 We can investigate these intentions in our own experience, and see how they fuel our actions and speech. When we’re a beginner to mindfulness, we may not see clearly how our intentions give rise to our actions. 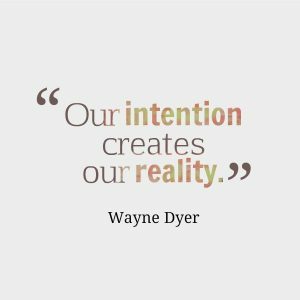 The Buddhist teaching on wise intention is intimately connected with wise action, as our intentions and thoughts often give rise to the ways in which we behave. Thus, as we purify our intentions, we can act from a place of kindness and wisdom. The first intention offered traditionally is the intention of renunciation. This word may mean something different to a monastic than it does to a layperson, but the core of it remains the same. When you hear the word renunciation, you may think of the monk or nun who gives up worldly possession in pursuit of a spiritual life. Renunciation here is the intention, not necessarily the actual action. In Buddhism, renunciation means we let go of attachment. Let’s say you are a layperson, living in a city. You likely have a roof over your head, food to eat, and water to drink. But you also may have a nice cell phone, a car, many clothes, etc. To practice renunciation doesn’t mean you need to get rid of these extras. Rather, you can cultivate non-attachment to these things. Attachment and clinging are one of the three unwholesome roots that lead to suffering. In my experience, renunciation comes from a place of understanding what karma is. When we cling to things (material or spiritual), we are creating the conditions of suffering. We can cling to things like our cell phone, our favorite outfit, or the ease of mind from meditation. With right intention, we resolve to let go of these attachments, not to get rid of everything! The second traditional wise intention is that of good will. This is taught as the opposite of ill-will, or wishing for others to be in pain. This can help us understand good will as the simple wish for others to be happy. If this sounds familiar to you, it may be because this is one understanding of metta, the Buddhist practice of loving-kindness. As one of the four brahma-viharas this is an important practice that helps us care for the wellbeing of ourselves and those around us. In relation to right intention, we can check in with our intentions to see if we are wishing for others to be free and well, if we are wishing for others to experience suffering, or if we fall into indifference regarding the wellbeing of others or ourselves. We use mindfulness to recognize where our intentions are in a given moment, and to abandon the unwholesome intentions. We also can practice metta meditation in order to cultivate a mind and heart inclined toward caring and good will. The third and final intention is that of harmlessness. This includes harmlessness in actions, speech, and thought. We may understand this harmlessness as observing the training rules offered in the five precepts. A basic way to practice harmlessness, the five precepts offer us a way to take care of ourselves and our community. With wise intention, we intend to cause no harm to other beings. We can watch when we intend to cause harm and when we are mindless about our intentions and their relation to causing harm. Sometimes we fall into craving or clinging and forget our intention to cause no harm. The cultivation of the intention of harmlessness comes through seeing clearly, compassion practice, and consistent awareness of our intentions and actions. Like any other teaching in Buddhist tradition, right intention is to be understood, worked with, and cultivated. It isn’t just a teaching about which we read and suddenly awaken. Rather, we put effort forth to cultivate this quality. As we practice more and more, wise intention comes more naturally. To practice the intention of renunciation and letting go, we can do a few things. First, we can of course practice meditation! 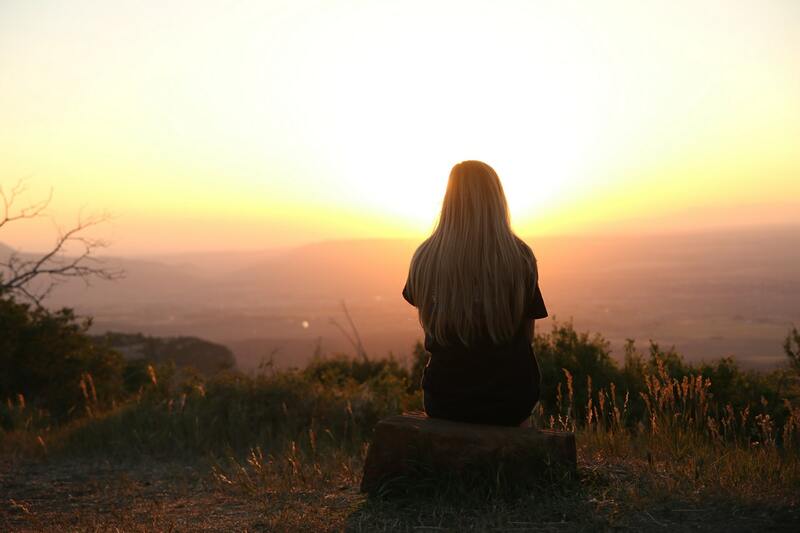 Below is a meditation on letting go you can use to cultivate this quality of renunciation. We can also use mindfulness to notice the impermanence of experience, and how we cling and crave. Furthermore, we can tune into how our clinging and craving cause suffering. This understanding and wisdom can help us recognize in daily life when we fall into the intention of getting more, holding on, or avoiding. When we notice these intentions, we can make an effort to replace the thought with a thought of non-clinging or non-attachment. Metta practice really is one of the best ways we can cultivate the intention of good will. This is essentially the foundation of the teaching of metta. Here is a metta practice you can try. As we practice cultivating this quality more and more, we fall into the intention of caring for the wellness of others more easily. Compassion practice can also help us to cultivate a wise and caring heart toward suffering, and lead us to the intention of harmlessness. When we tune in with wisdom to the experience of suffering, we see how painful it is. Below is a compassion practice you can use to cultivate a mind and heart inclined toward caring about suffering. With harmlessness, it may be helpful to investigate the five precepts as a practice and investigation. Where do these precepts feel difficult for you? How can you use the precepts as the jumping-off point for an investigation into your intentions of harmlessness in the world? 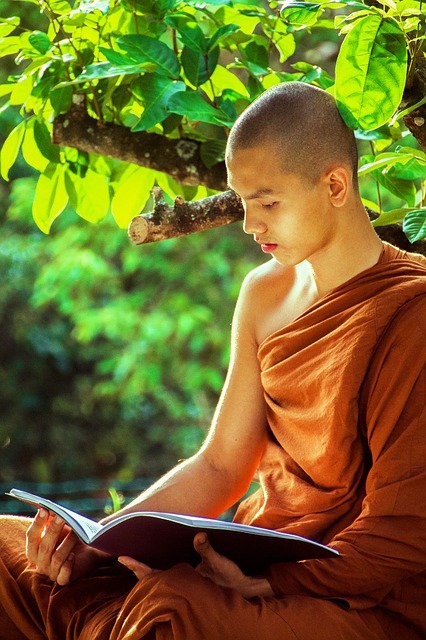 We can use the Buddha’s teachings to Rahula and reflect on our actions before, during, and after we act. Part of this is looking at the intention behind our actions. Were we acting out of love and wisdom, or out of fear and instinct? As we begin to cultivate wholesome intentions, we can see our actions follow suit. One of the best examples of this is the teaching of generosity. In Buddhism, there are two separate qualities: dana and caga. Dana is generosity, and refers to the act of giving in a wholesome manner. Caga is the state of mind and heart which is inclined toward giving. When we cultivate a generous heart (caga), we practice generosity (dana) more often. This is a perfect illustration of how an intention can lead to an action, and how they are inter-related. As we cultivate wisdom, loving-kindness, and compassion, the heart grows more inclined toward giving. As we grow in caga we take more generous action. It’s the same with many other things. When we cultivate anger or allow it to control us, we take more actions out of anger. When we cultivate the intention of ease and freedom, we take actions that lead us toward happiness. One of the best ways we can use this as an investigation is by reflecting on actions we are taking or have taken. What was the intention behind it? Sometimes we may find our intention was not clear to us in the given moment. This is an opportunity to practice right intention and really bring your intentions to the forefront of your awareness. Does this intention lead to wholesome states and ease? If it doesn’t, don’t encourage it by acting upon it!